BEFORE organizing Mt. Prospect Baptist Church, a group of members met with Rev. J. M. Hindsman and held meetings from house to house, making preparation by raising money to purchase property to build on before organizing. In making this preparation they purchased a plot of land on Beecher Hill (now Wilson Street). This land was later swapped for the land where the church building now stands. In July of 1887, the Church was officially formed with six members, Rev. J. M. Hindsman, Deacon Henry Hindsman, Brother Alex Hindsman, Sister Martha Dukes, Sister Sarah Hindsman and Sister Marlah Peavy. The Rev. 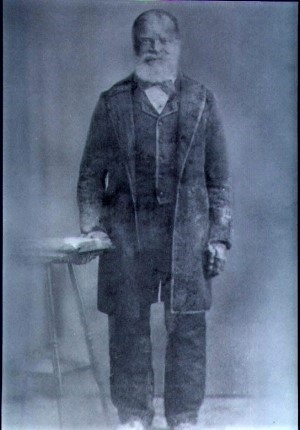 J. M. Hindsman was elected Pastor of the Church. Rev. Hindsman suggested the name of the church, Mt. Prospect. This was also the name of the former church of the 6 founding church members. Through the winter of 1887-88, the church held its meeting in the home of Mrs. Orrie Scott. 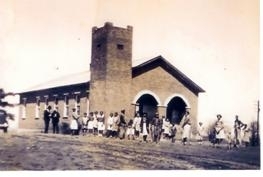 The first church building was erected in 1888-1890. On the 2nd Sunday in May 1892, the church was dedicated. The first building was a frame house built under the leadership of the Rev. J. M. Hindsman. Additional improvements were made to the structure under the leadership Rev. Schaffer. The second building, a brick veneer, was the first black owned church building in Carroll County (1928). This building was destroyed by fire in February, 1945. Under the direction of the Pastor, Rev. P. H. Head, the church members worked together to raise funds to erect a new building. The new building was completed in July of 1945. At present the Mt. Prospect Baptist Church is a vastly influential & respected institution. As this church moves forward to develop services that a growing and changing population needs, it will continue to grow and hold its place in the life and esteem of the members and the surrounding communities. Reverend James E. Potts, the current pastor, was called to serve as the new pastor in 1986. Under his spiritual leadership, the church continues to serve God and enrich the spiritual well being of its members and community. A church pantry set up to assist those in an emergency situation, has grown to a weekly outreach ministerial food bank. Mt. Prospect embraces its rich history through annual events such as the Hindsman’s Note Singing Concert and the Thomas Dorsey Birthplace Choir Festival. The church commits to ministering to the whole person and the whole life of the person…the spiritual needs being of utmost importance. Community Food Bank in 1992. 1997 Vision of new building established; Church purchased box van. 2001 Church was granted 501 (C)3 status. The Mission of Mt. 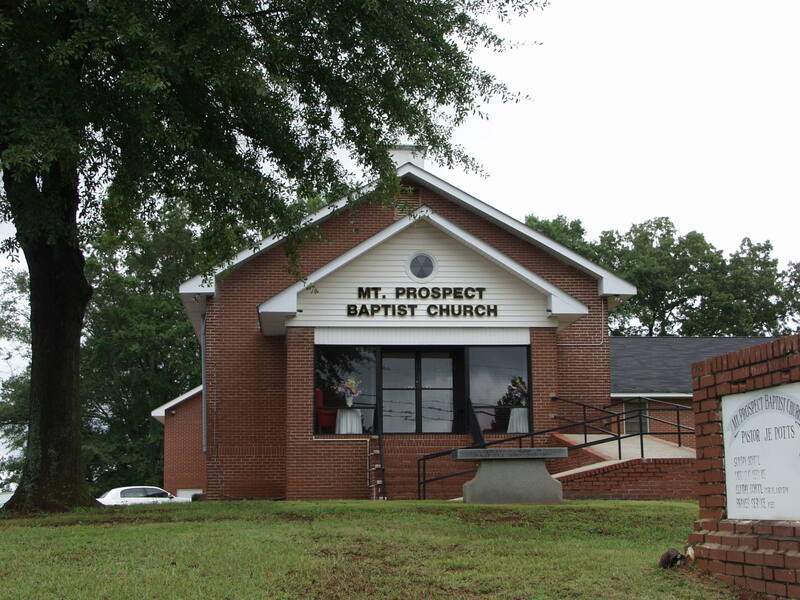 Prospect Baptist Church is to be Christ-centered and Bible-based, to make disciples for Christ, to minister to the hurts, hopes and needs of the community and to exhibit godliness through a positive presence in our community.